Broker’s Report Feb. 5––Lots of good and interesting things to talk about. Snow. January was a snowy and windy month and it has spilled into February. Mammoth has solid snowpack on the ground and good skiing is guaranteed through spring and the winter certainly won’t be labeled drought. It is creating buzz. And the snow has brought real estate activity with it. Real estate sales. The holiday period and post-holiday period is traditionally slow for real estate sales––but not this year. Considering the negative state of many real estate markets, and the turned-up volume by the media, this comes as a bit of a surprise. The activity isn’t earth shattering, but it is here. And it isn’t being driven by Ritz-Carlton marketing and hype. The buyers I’m seeing don’t care about that. The most impressive thing to me in the past month is the number of cash buyers in $500K to $1M range. The files show it is primarily money flowing from the stock market. These buyers aren’t buying “luxury,” they’re looking for good buys and good values in quality locations. Many are ski-oriented properties (go figure). Foreclosures. Long time readers here know I am constantly watching the inventory, and the segments within the inventory, as a telltale of the future. I’m also watching the foreclosure pipeline. I’m watching Mammoth foreclosures carefully because my company is representing several lenders on their newly foreclosed properties. 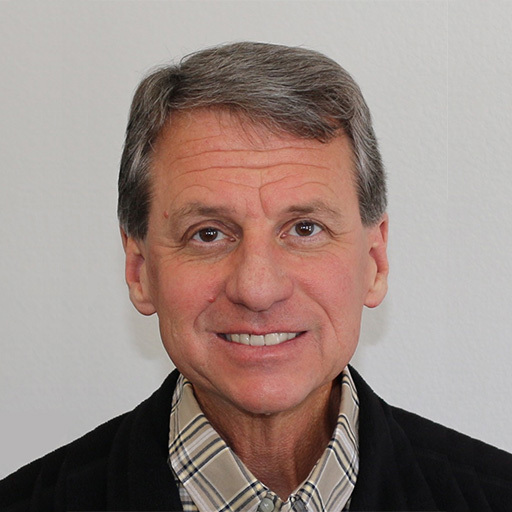 (We have found that brokers who represent foreclosures have to be on the realistic side. Brokers can’t be drinking Kool-Aid and leading cheers and represent foreclosures.) As I have said in the past months, a large volume of foreclosures will dramatically drive values down in a market. Combined with plenty of other resale inventory, and the downward spiral only accelerates. This is happening in many marketplaces. But so far there is no sign of that in Mammoth. We’ll talk about inventory in a minute. Presently, the total number of properties foreclosed on and subsequently sold, or in escrow, or on the market, or in the pipeline (Notice of Default filed and likely to become lender owned) is about a dozen. My current research shows that this is a low for any county in California. I do see properties on the market that are distressed and may end up in foreclosure. But again, no big numbers. The foreclosed properties here in Mammoth are typical of the national market––many of these owners never had a dime into their properties. The owners haven’t “lost” money. So far we have learned a few things about Mammoth short sales. For a lender to even consider a short sale a Notice of Default has to be filed––that means the owner has to be at least a few months late on payments. The owner has to be prepared to (really) prove economic hardship. And they may have to bring some cash to the table. And the brokers are going to hammered on commissions. And the lenders are so overwhelmed that getting someone to pay attention is difficult. And in many cases there are second and third loans. A popular tactic is to file bankruptcy to forestall the process. Trustee’s Sales are being delayed pending negotiations. Agents and sellers are hopeful. I think that much like each property that is foreclosed on, each short sale will be an individual case. The really important “take-away” from the foreclosure and short sale market in Mammoth is that the volume of foreclosures is very small at this point and the foreseeable future. Those buying lender owned properties are getting attractive deals (the sellers are motivated). And most importantly there really are buyers in the market (multiple offers in most cases) and the sales are not destroying market values. Some of the standoff between buyers and sellers is beginning to shake loose. Plenty of inventory continues to sit. The majority of homes listed under $1M are simply atrocious and need major reductions. (They need to start thinking like the lender’s asset managers.) There is a shortage of quality homes in the $1.2M to $1.8M range. Homes in the $2M plus range are being ignored. Buyers in that range are waiting. And I think, so are the sellers. In the balance of the condo market there are some good buys showing in Snowcreek V. Snowcreek VI, The Lodges, inventory is sitting. Many of those owners bought at what now is the top of the market (2004-2006 depending on product). And the developer appears to be sitting on some unsold inventory too. But like the lender owned properties, sellers who bring their condo asking prices down 10-30% off the peak values have a good chance of selling. The construction industry has slowed dramatically in Mammoth. From what I can tell it is an opportune time to build a home or remodel the condo. The smugness is gone. Lumber and labor costs are destined to be down. But if oil and metals stay pricey the rest of construction costs will stay high. And the Town offices have plenty of time to process your plans and permits. Spring will be a good time to shop for a lot––and there’s a couple dozen to choose from. 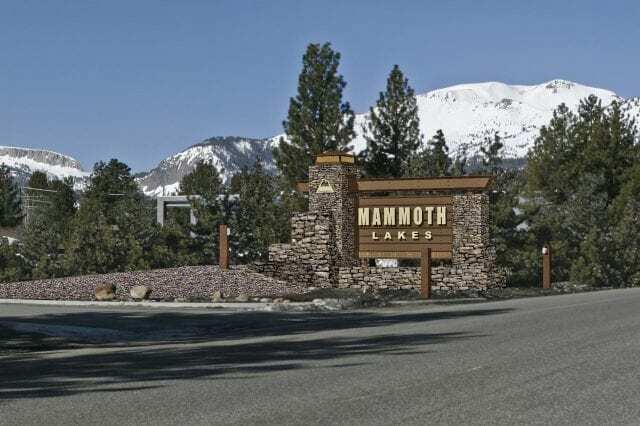 Residential lots will simply remain a scarce market in Mammoth. But again, the take-away is that the inventory numbers are not going stratospheric. In fact, they are rather stable but very stale––and especially if you scrub through all the junk and ridiculously priced. Commercial Real Estate. A recent Wall St. Journal headline read “Do the Math or Take a Bath”. The article could have been written about Mammoth. Plenty of commercial investment is asking, again, “Why did we buy this?” Commercial vacancies are growing and rumors abound about many tenants not able to pay rent, and it is documented that the Village has massive rent stress. So much for the hubris laden strategy by new owners to “set new thresholds for commercial rents”. (I guess you have to have been a business owner through drought and recessions to really understand.) I’ve been asking people to explain their math for years. Is all this coming home to roost? I think I’ve babbled long enough…If the Feds raise the conforming loan level to over $700K there might be a small push to purchase and refinance in Mammoth. Stay tuned––it’s an election year! Meanwhile, serious buyers are not having a problem getting financing…. Let’s see how the Ritz sales effort turns out. I hope they build it. The Westin has had a positive effect on the community, but as one of my associates said after walking through one of the very nice 2 bedroom units, “I’d like to stay there, but I wouldn’t want to own it.” (Of course, he likes his old motorhome too. )…The Night of Lights was one of the most positive things the Mountain has done in years––thanks for bringing it back…And don’t ask me, I don’t have a clue about The Airport, The Brand, The Roof (for the ice rink), Wellness, Who really owns the Mountain at this point, or Widespread Panic coming this summer. For now it’s just real estate and some good skiing. Sure hope you continue your Blog. Mammoth Times has lost one of it’s few non-advert fluff reasons to be, IMHO. 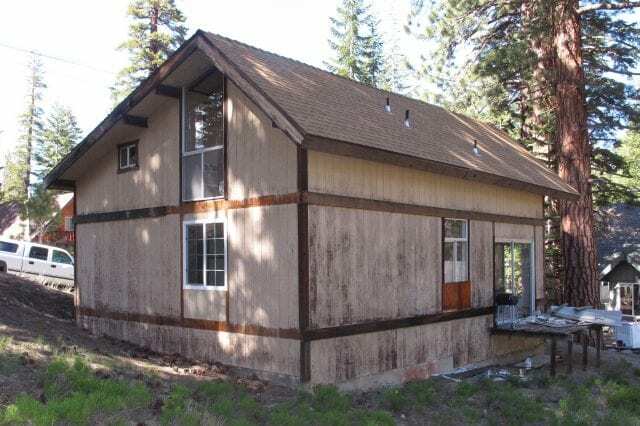 As a second homeowner, and rental property owner in Mammoth, I have a decade by decade approach to TML prperty investment that is more based on a long-term love affair than a business plan. SoCal is the property investment farm we work for year to year income. All that being said, I am a real-estate market junky and love the no BS candor of your analysis Paul. Question about last Blog: Your little comment slipped in near the end about “who really owns the mountain at this point”, is that just the usual rumor mill or has there been some recent factor stoking that question? Location…Location….Location. If most agree these are the first three rules of real estate, what rules follow?? I think they are….Inventory, Inventory, Inventory. No doubt Mammoth has Rules 1, 2 and 3 in its favor but unfortunately Rules 4, 5 and 6 are a problem (at least right now). I went to the MLS “updated daily” site (found on most agent’s web pages…including Paul’s) and pulled the current condo listings into excel. 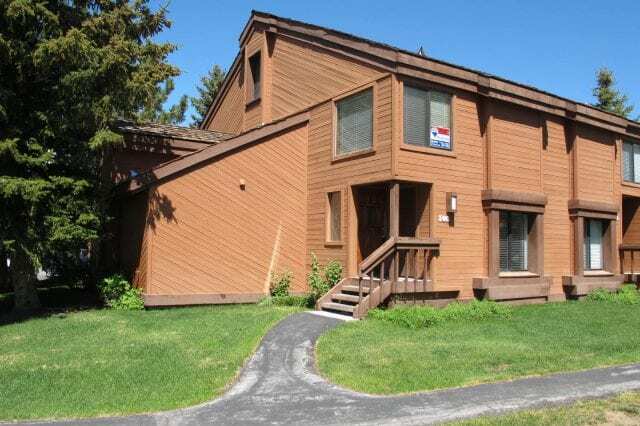 There are currently 271condos on the market in Mammoth. The average list price is $612,000 and the average days on market are 162. Considering how abysmal 2007 was, I guess it’s no surprise the average unit has been on the market at least 6 months. What is a bit surprising to me is how well the average list price has held up. I think it suggests sellers still have a firm grip on the tug-o-war “pricing” rope. However, I wonder how long sellers can fight what appears to be daunting inventory levels. Consider only 155 condos sold in Mammoth for all of 2007; the current inventory constitutes almost two years’ supply. Granted, 2007 might be an unfair benchmark given its unique difficulties (i.e. lending industry meltdown and sub-par snow). Nevertheless, even if we prop current inventory up against 2003 sales, which were the highest ever in Mammoth with 611, current inventory still constitutes nearly a 6 month supply (also, keep in mind those 2003 sales were generated at an average price of only $350,000). The reason “Location” tops the rule list is because of its intrinsic or “constant’ contribution to value…hereas “Inventory” comes and goes with the economic tides. So, it appears at the moment Inventory has Location trumped until it can be whittled down to more “normal” levels. For that matter, does anyone know what “normal” is for Mammoth? A general rule of thumb is that 3 to 5 months supply reflects a market in balance…but of course Mammoth is unique so I don’t know if it applies here. Finally, as a hopeless real estate junkie myself, thanks Paul for your reports, insights and forum. What’s the deal about “who owns the Mountain?”. Never heard of this issue. I would assume the majority of second home owners at mammoth are from california. What happens when your first home drops 30% and your mammoth place drops 40%, which one do you take the loss on? The arms are going to reset in california…people can only afford the introdoctory payments…This is a house of cards that is about to become 52 pick up. The credit industry will only tighten more. Due to banks admitting little by little each 8 billion dollar loss, inventory will go up in all of california and the special ski resort of mammoth. This whole national housing market will get stomped, and second home markets always get hit the hardest for obvious reasons.